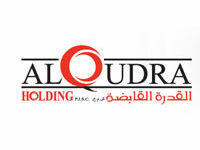 Activities : Al Qudra Holding PJSC, through its subsidiaries, engages in real estate investment, banking and finance, healthcare, oil and gas, project management, and hospitality businesses in the United Arab Emirates and internationally. Activities : Owning stocks and shares in Kuwait or non-Kuwaiti companies, and shares in Kuwaiti or non-Kuwaiti limited liability companies and participating in the establishment of, lending to and managing of these companies and acting as a guarantor for these companies. Capital : 10 million Kuwaiti Dinars paid in full. Activities : Marketing and promoting technological solutions and equipment to go hand to hand with modern technological requirements for information systems, office equipment, and consumer electronics, in addition to providing after sales maintenance services and provide qualified technical manpower with specialized certificates. Activities : Ownership, selling and buying real estate, lands and developing than for the company’s account, inside and outside Kuwait, managing third parties, properties, selling and buying shares and bond of real estate companies for the company s account, preparing studies and consultations in the real estate field, and performing maintenance works. Activities : As an efficient organization, Shuaiba Industrial Company has earned a reputation for producing a wide range of superior quality products with very competitive prices. Our goal is to continue developing positive and productive relationships with our shareholders, customers, employees, community and the environment.